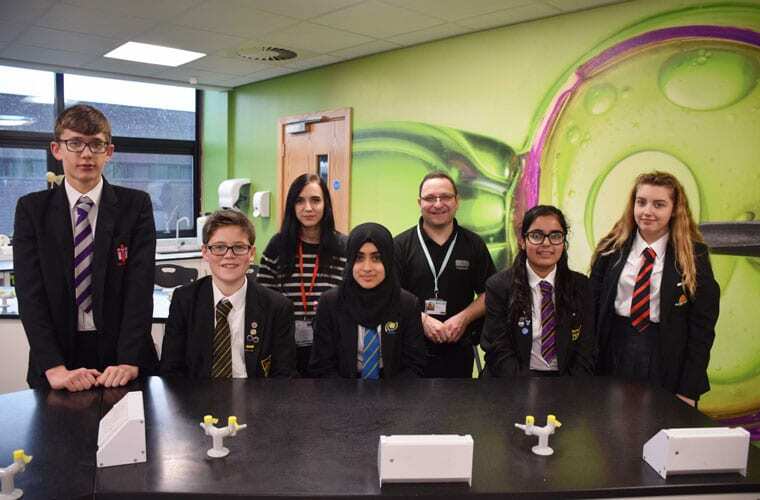 Gifted and talented students from five Pendle secondary schools have investigated renewable energy in an NCC programme created to help them progress to top universities. Star Year 9 students from Colne Primet Academy, Marsden Heights Community College, Pendle Vale College, Fishermore RC High School, and Park High School were put to the test in the Boat Race Challenge when they explored sustainable green energy production for the UK. For the challenge, students were asked to concentrate on the supply and storage of the energy solution, while being mindful of technology, marketing and budget. They then presented their solutions in the form of a 10-minute Dragons’ Den style presentation to a judging panel, which included former NCC star and current University of Oxford student Lotte Gleeson and Curriculum Leader for Engineering at NCC Mark Rosenthal. Park High School’s River Severn barrage scheme wowed the judges to come out on top as the winner. The Boat Race Challenge is a unique three year training programme, designed by Nelson and Colne College to stretch the abilities of Pendle’s young learners with the aim of preparing them for College life and reaching Oxbridge and Russell Group universities. Mark Rosenthal said: “I was very impressed with the quality of the presentations. Picking the winner was a very difficult decision as all of the schools presented interesting and innovative ideas. “This activity tasked the students with looking at renewable energy which is incredibly important now and will be increasingly so in the future. Not only were the students exploring the supply and storage of this energy and the Science and technology behind it, they also had to take into account budgeting constraints and consider how it would be marketed. Lotte left College in 2016 with three A* grades and an A in Maths, Further Maths, Chemistry and Physics – becoming the first in her family to go to University.